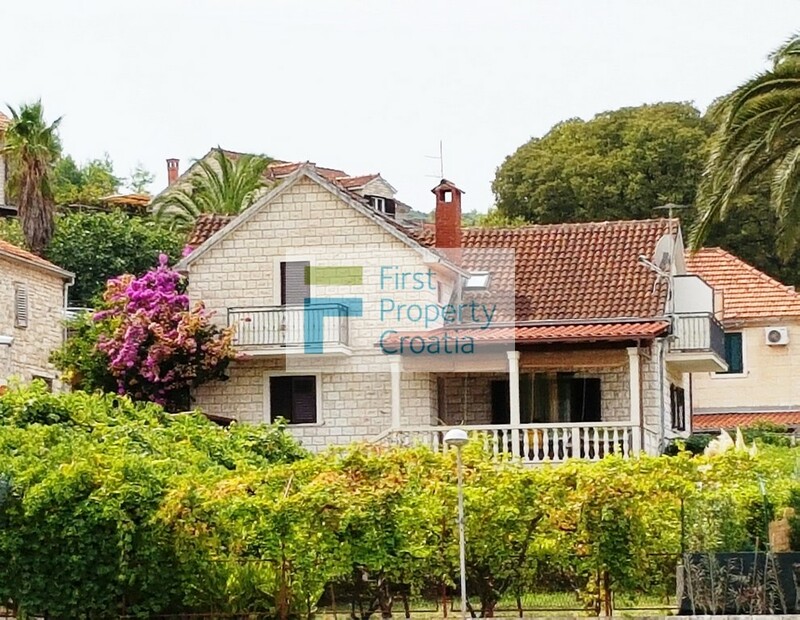 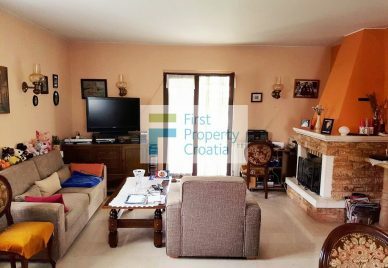 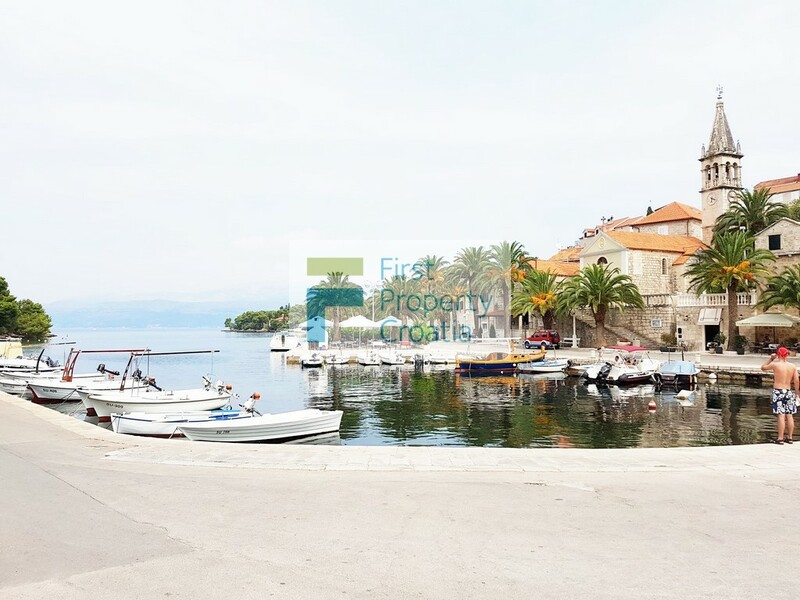 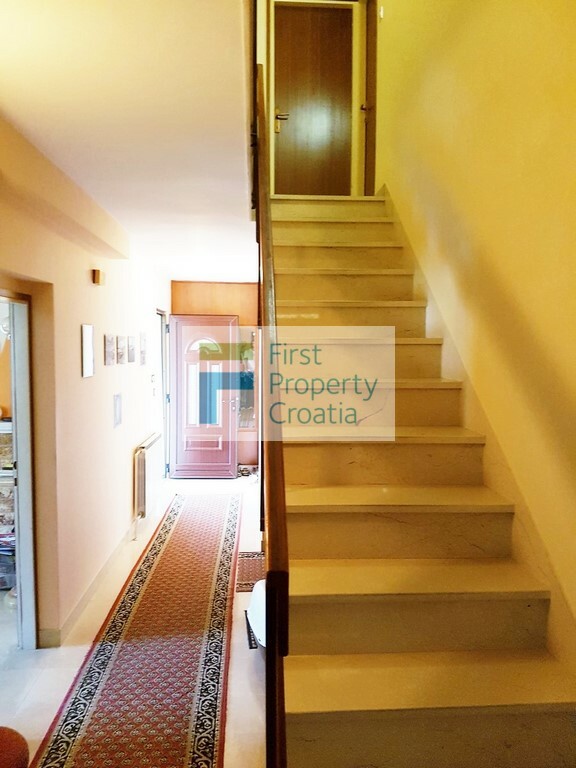 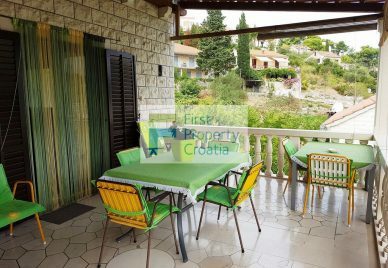 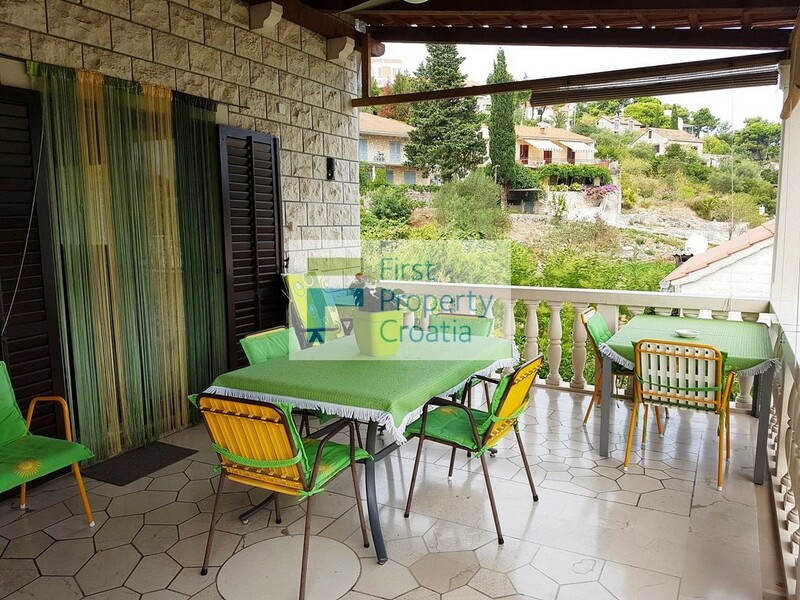 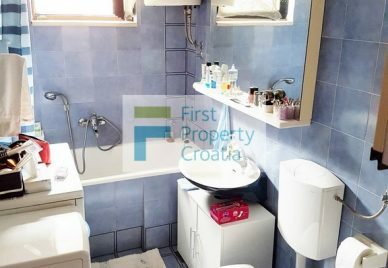 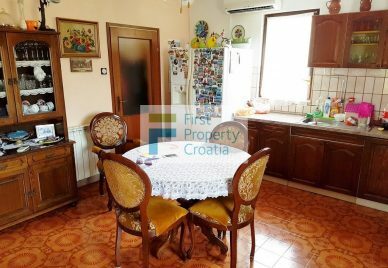 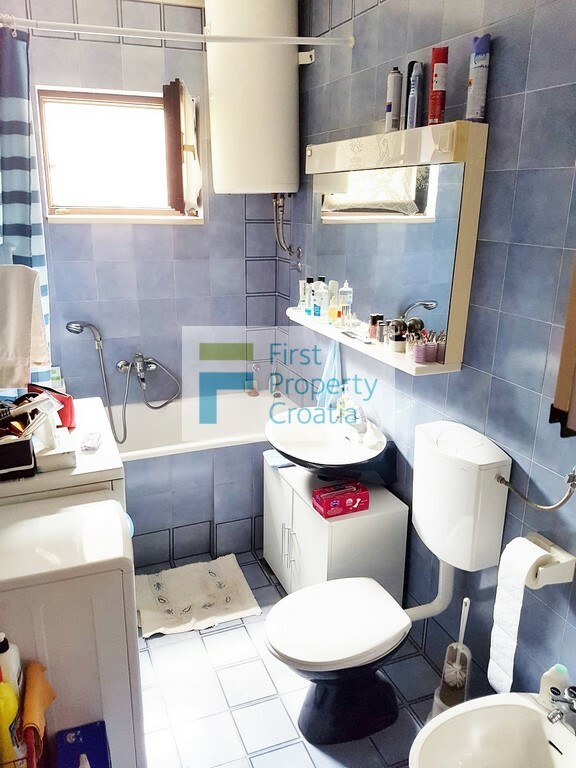 BR1112IV – An attractive house for sale Brac, first row to the sea in Splitska bay, with a spacious terrace with lovely sea views overlooking the picturesque harbor. 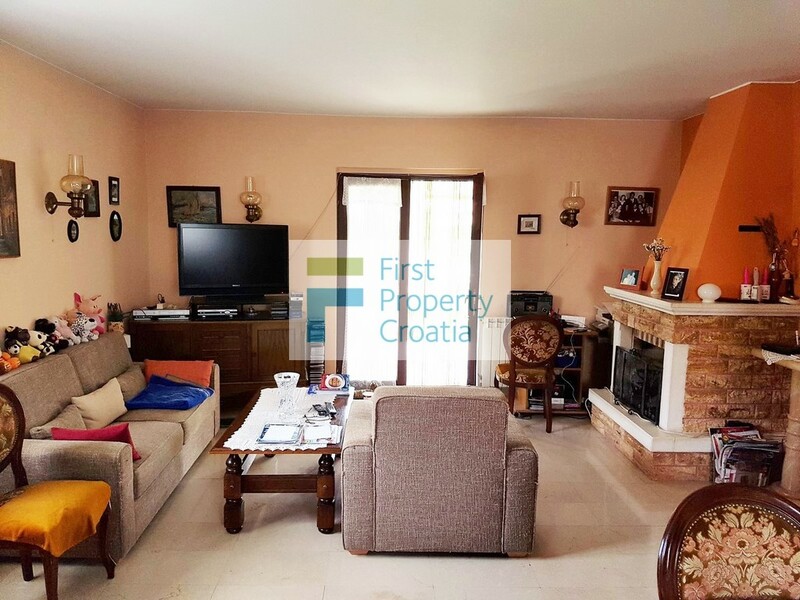 The house is situated on a spacious land plot of 608m2 and has a total living area of 260m2. 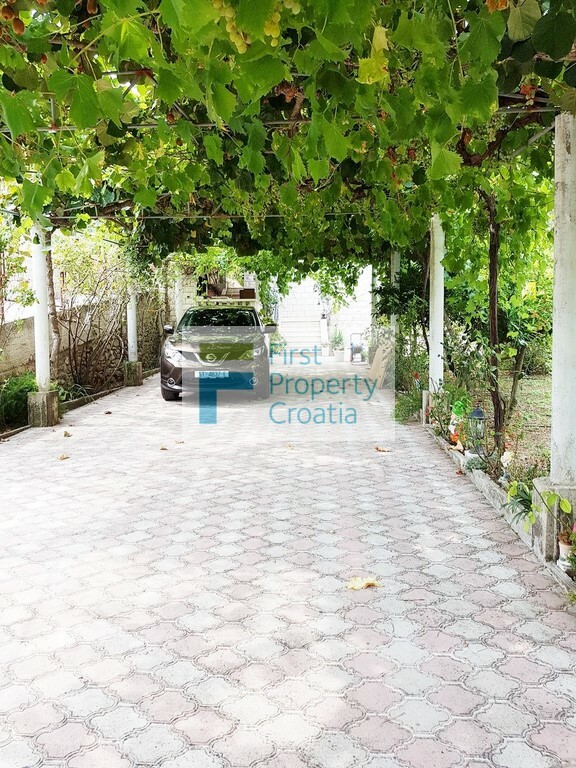 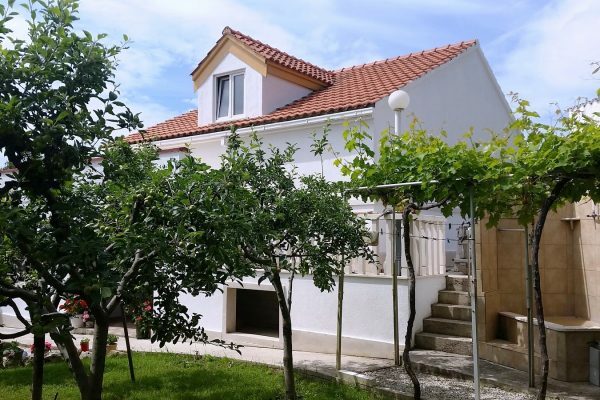 The location of the house is amazing, in the village center with all amenities at hand and with fantastic sea views and view overlooking the village. 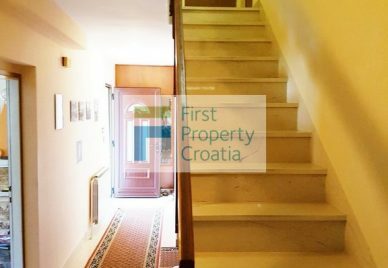 It consists of three levels, the ground floor, a first and second floor and it has sunny terraces and a spacious yard. 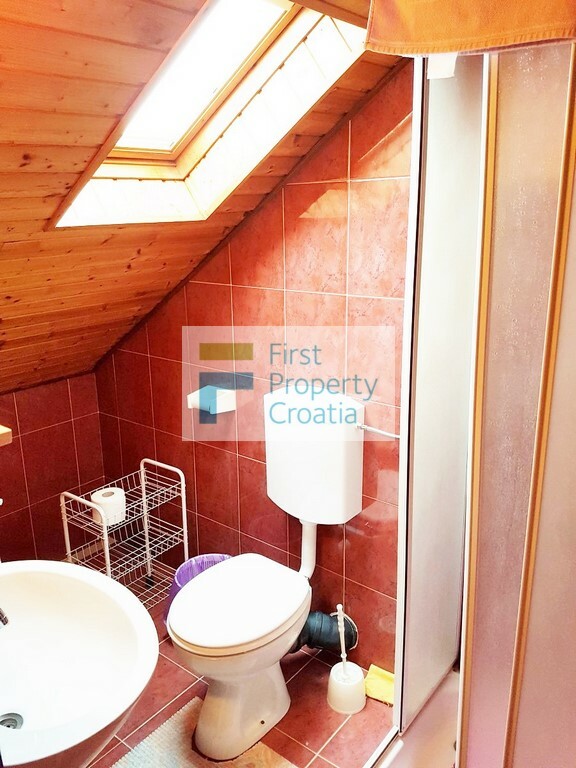 Its ground floor consists of a boiler room and a cellar. 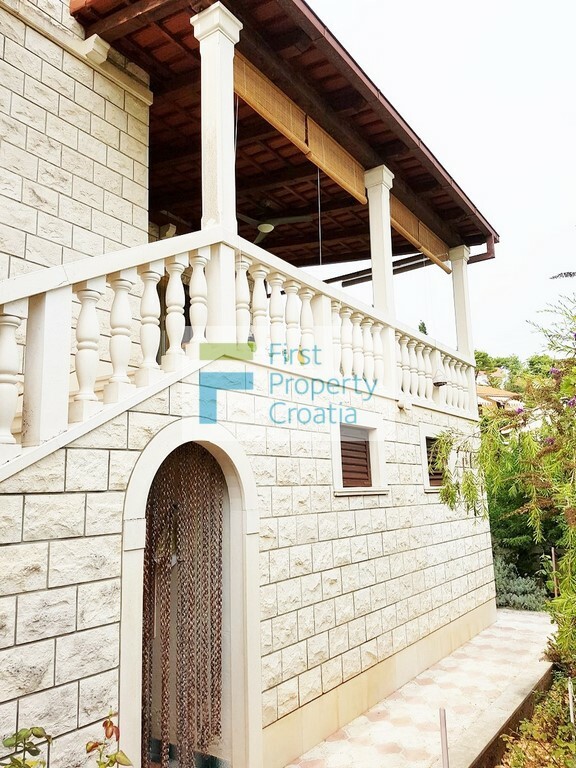 The first floor consists of a bathroom, two bedrooms, a kitchen, a living room and a dining room. 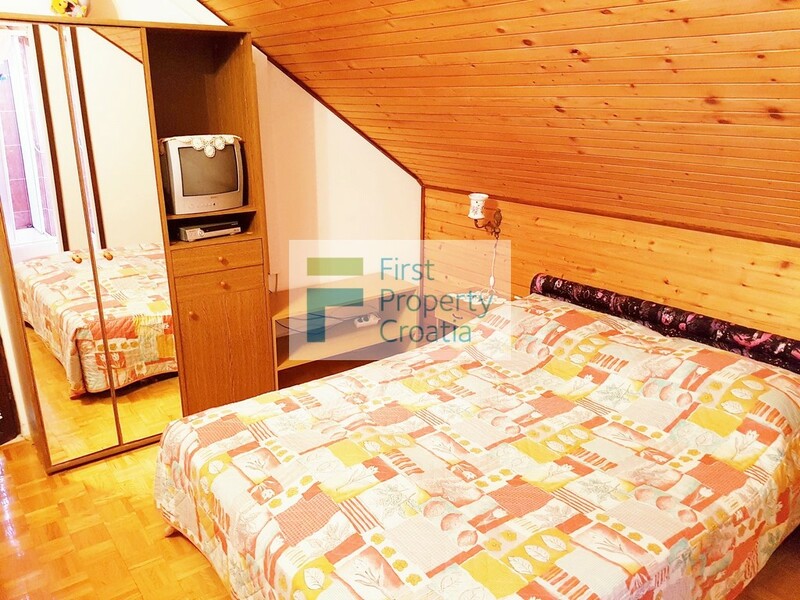 Its second floor contains four bedrooms, each with an en-suite bathroom, and one more, smaller bedroom. 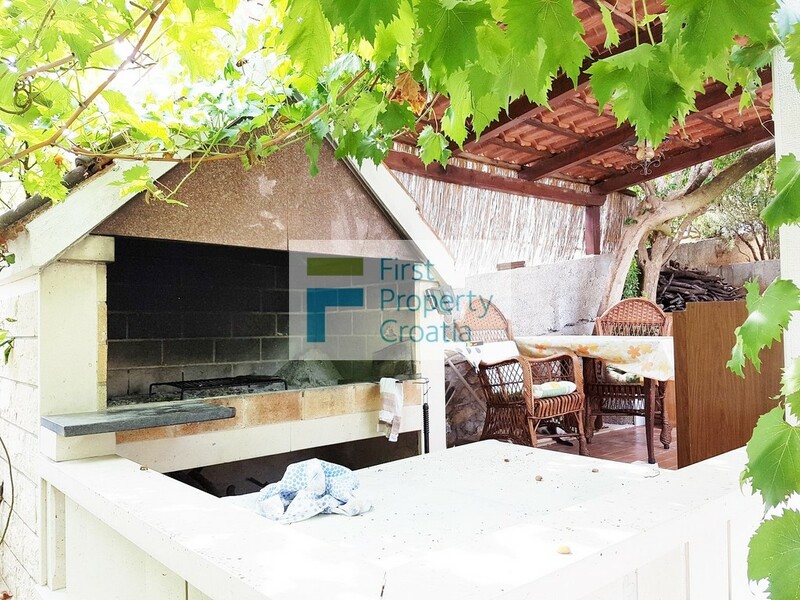 The yard provides a lot of parking space and there is also a barbecue with an outdoor dining area and a lovely garden. 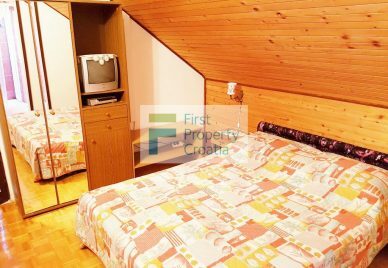 The house has an established renting business that you can take over, which is a significant advantage enabling you to easily earn extra profit. 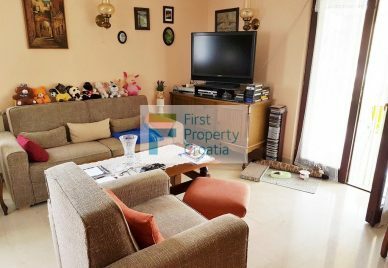 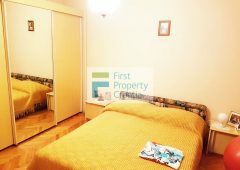 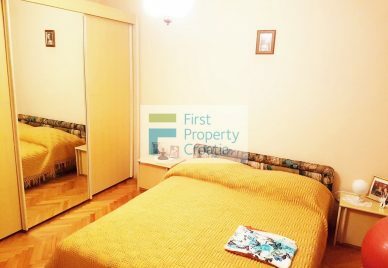 It is being sold fully equipped, furnished and ready for moving in, which is also an important advantage. 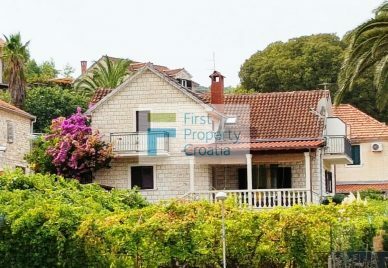 The house for sale Brac could use some modernizing and addaptations, but it already has all the prerequisites for becoming your second home in a charming and peaceful seaside village close to the main island port in Supetar with frequent daily ferry and catamaran connections to the mainland.